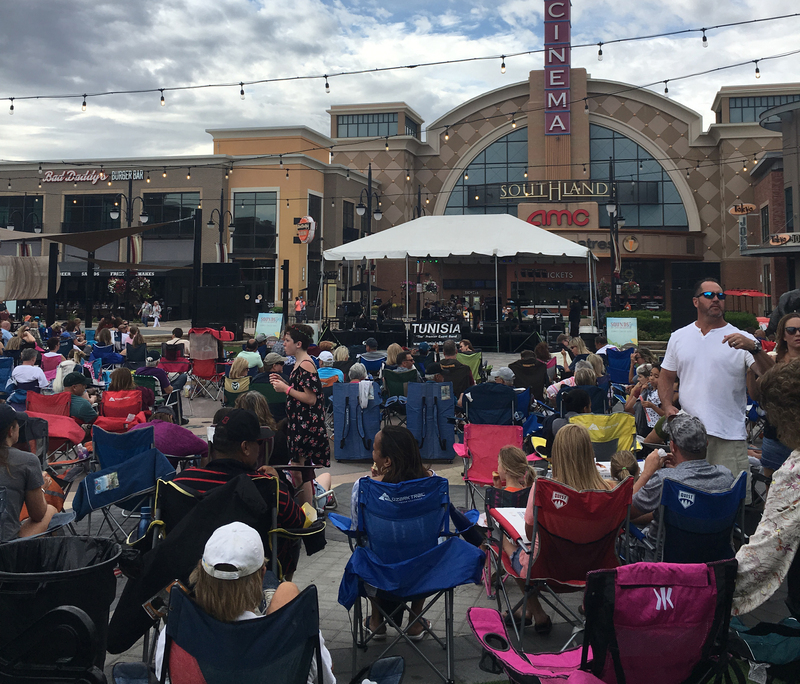 Sounds of Southlands is back on Thursday, August 9th, from 6pm- 8pm featuring Chris Daniels and the Kings. Bring your lawn chairs and blankets and join for this free, family-friendly concert in Town Square! Special Thanks to the sponsor, Jennifer Bozarth & The Bozarth Group! Southlands has put together a few offers for concert attendees so be sure to check out these deals before the concert! Massage Envy – Southlands: Be Our Guest! $55 massage, facial or stretch session. Intro 60- minute session. Offer good for first-time guests only at Massage Envy Southlands. Check with location for details of offer or if you are considered a first-time guest. Not valid for Microderm Infusion or Chemical Peel/ Exfoliation advanced skin care treatments. Claire’s Southland: Concert Date ONLY! Receive 20% off your entire purchase. Valid in Southlands store only. Discount is calculated before tax. Excludes ear piercing, gift cards and prior purchases and cannot be combined with any other coupons. Coupon must be presented at the time of purchase. Void if sold, duplicated or reproduced. Not redeemable for cash or credit. Wood Shark Trading Company: Spend $50, receive $10 store credit or spend $100, receive $25 store credit! Offer valid anytime during concert date. Chirosport Chiropractic: New Patient Special $95! Includes: exam, orthopedic and neurological tests, x-rays (if necessary,) report of findings and treatment. Over $450 value! Offer available during open business hours. Brain Balance Centers: 1/2 price assessment for $150 and $500 off enrollment! The Lost Cajun – Southlands: $5 Frozen Drinks and $1 Off all Beers! Visit www.shopsouthlands.com/events for more details.